The Middle East has undergone revolutionary changes in the last few years. For most of the 1990s it was the conventional wisdom that the key to regional stability was to be found in the resolution of the Arab-Israeli conflict and, as a result, Western diplomatic energies were primarily focused on that area. Now radical Islam is gaining strength among the Palestinians with the victory of Hamas in the 2006 parliamentary elections of the Palestinian Authority. Hamas and its allies completely reject a negotiated solution to the Arab-Israeli conflict and align themselves with jihadi organizations across the region. 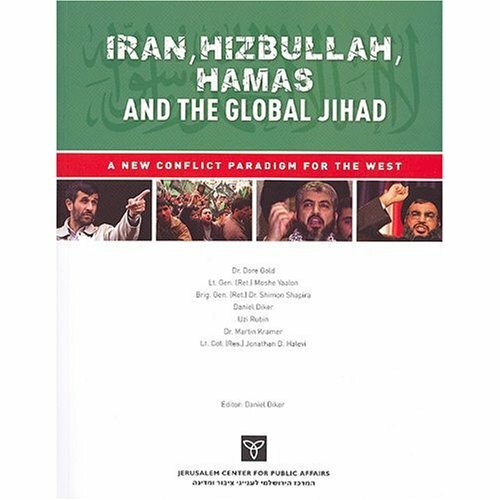 As a result, the Arab-Israeli conflict has become increasingly a part of the much larger struggle between radical Islam and the West. At the same time, Iran is more determined than ever to achieve regional hegemony. Indeed, the Sunni-Shiite rivalry is likely to emerge as the central axis of conflict in the Middle East in the years to come. Given this new strategic context, the U.S. and its Western allies have enormous leverage with the threatened Sunni Arab states. As a consequence, the West does not have to pay for their cooperation in Israeli coin. The book includes top quality pictures and maps. Dr. Martin Kramer is the president of Shalem College in Jerusalem and former director of the Dayan Center for Middle Eastern and African Studies at Tel Aviv University.